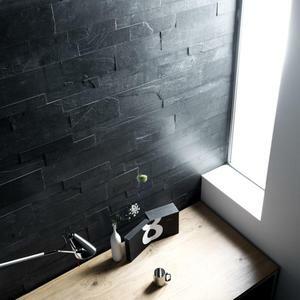 Product Images Black natural slate stone wall cladding for sale Prodcut name Black natural slate stone wall cladding for sale Style cut to size tiles Usage wall, exterior decoration, Wall Capping etc. 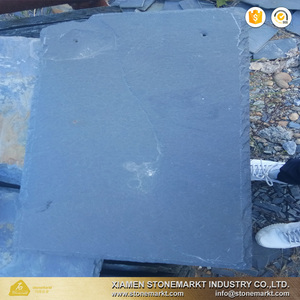 3)pallet Related Products Factory Images Quality Control Packing Details Customers Visit 1, Q: Where is your factory9 A:1th: Xilan Stone Development Zone, Xilan Town, Luoyuan Country,Fuzhou City, Fujian Province, China. 3,Q:Where is your branch office9 A:In shuitou 4,Q:What is your main products9 A:Our main products are granite countertop, big slabs, small slabs, tiles,countertops, steps and risers, skirting, windowsill,mosaics, fireplace, columns, paving stone, cube stone, kerb stone, etc. 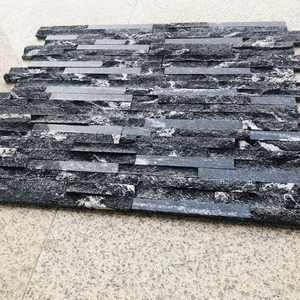 Black High Quality Natural Slate Culture Stone Wall Cladding DETAIL INFORMATION Item Black High Quality Natural Slate Culture Stone Wall Cladding Size Sizes: 600*150mm; Thickness: 15~25mm or as per specification. Color options Rusty, Black, Gray, Green, White, Pink, Brown etc Application Interior and exterior wall cladding, Flooring, Building decoration, Wall decoration, Decorative material FOB price USD13-25/m2 FOB Tianjin Model No. SC-126 MOQ 100M2 Material Slate Finished split COMPANY INFORMATION Certificate SGS, CE Production capacity factory, 2-5 Containers/month Export qualification yes Main export area Europe,Southeast Asia,Japan,Korea, Middle East,North Africa and etc. Available Size 60*15*2-3cm , 61*15.2*2-3cm , 60*20*2-3cm , 18*35*2-3cm Item NO JJ-ASP-018S Material Natural culture stone Type "Z"shape,"S"shape,Rectangular Surface Finishing Natural Regular Packing 1.paper cartons+wooden crates 2.paper cartons+pallets 3.bundled +wooden crates 6pcs/carton,30cartons/crate,30crates/container Approx Gross Weight 55-65kgs/sqm Delivery Time About 1-3 weeks after receving the deposit Payment term 30% deposit by T/T,the balance paid after showing the bill of lading Applications Can be used on external and interior walls fireplaces outdoor kitchen columns resident or commercial Remarks 1.Easy for installation 2.Convenient for cleaning 3.Beautiful decorating effective 4.Breath together with nature 5.Various colors 6.Welcome customer designs packing Size Shape Packing 1 and Packing 2 Packing 3 60*15*1.5-2.5cm 7 pcs/carton,36 cartons/ crate or pallet 3.3kgs/pcs,about 850 kgs/ crate or pallet 0.09sqms/pcs,22.68 sqms/ crate or pallet 4 pcs/bundle, 60 bundles/crate 3.3kgs/pcs, about 820 kgs/crate 0.09sqms/pcs, 21.6 sqms/crate 55*15*1.5-2.5cm 7 pcs/carton,36 cartons/ crate or pallet 3.1kgs/pcs,about 800 kgs /crate or pallet 0.0825sqms/pcs,20.79 sqms/ crate or pallet 4 pcs/bundle, 60 bundles/crate 3.1kgs/pcs, about 770 kgs/crate 0.0825sqms/pcs, 19.8 sqms/crate 57.2*15.2*1.5-2.5cm 7 pcs/carton,36 cartons/ crate or pallet 3.2kgs/pcs,about 830 kgs/ crate or pallet 0.086944sqms/pcs,22 sqms/ crate or pallet 4 pcs/bundle, 60 bundles/crate 3.2kgs/pcs, about 800 kgs/crate 0.086944sqms/pcs, 20.87 sqms/crate 60*15*1.5-2.5cm 7 pcs/carton,36 cartons/ crate or pallet 3.3kgs/pcs,about 850 kgs/ crate or pallet 0.09sqms/pcs,22.68 sqms/ crate or pallet 4 pcs/bundle, 60 bundles/crate 3.3kgs/pcs, about 820 kgs/crate 0.09sqms/pcs, 21.6 sqms/crate 35*18*1.5-2.5cm 6 pcs/carton,70 cartons/ crate or pallet 2.3kgs/pcs,about 990 kgs/ crate or pallet 0.063sqms/pcs,26.46 sqms/ crate or pallet More related product New prooducts successful cases WHY US Contact Any questions,Just contact us! 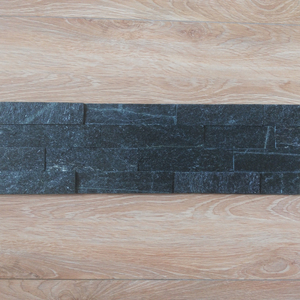 Product name: Black slate strips cladding wall cladding Slate strip also called stone strip for the wall cladding. And then cut each slate tile into small slate strip or mushroom surface for the wall decoration. 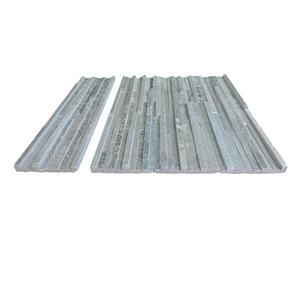 The slate strip have the black slate, rust slate, grey slate, brown slate or rusty slate can be available. 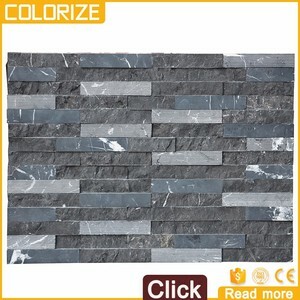 Alibaba.com offers 3,474 black slate wall cladding products. About 48% of these are slate, 1% are other boards, and 1% are artificial stone. 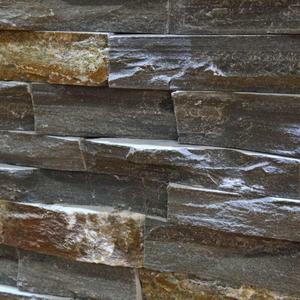 A wide variety of black slate wall cladding options are available to you, such as cut-to-size, big slab, and tile. You can also choose from split, polished, and picked. As well as from white, yellow, and beige. And whether black slate wall cladding is fiber cement boards, curtain walls, or other natural stone. 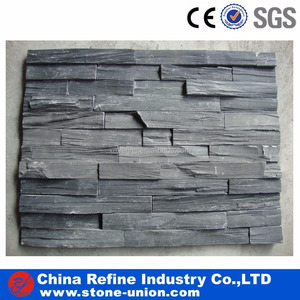 There are 3,474 black slate wall cladding suppliers, mainly located in Asia. 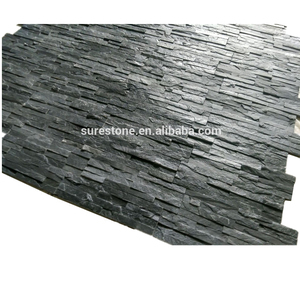 The top supplying country is China (Mainland), which supply 100% of black slate wall cladding respectively. Black slate wall cladding products are most popular in North America, Western Europe, and Eastern Europe. You can ensure product safety by selecting from certified suppliers, including 395 with Other, 381 with ISO9001, and 129 with ISO14001 certification.